Howard Berk has written over 150 televisions shows including Columbo, McMillan & Wife, Mission Impossible, & The Rockford Files. I read an interview in the fall that suggested the author might have a book coming out at the end of 2013. 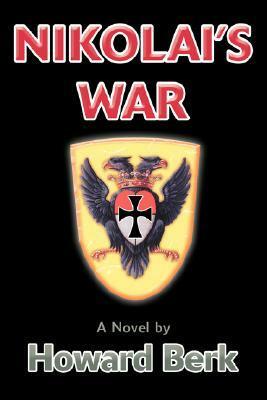 I didn't find further hint of a new title but discovered the availability of "Nikolai's War". The story begins on the first day of July 1941... This isn't an 'ordinary' title of espionage but a very descriptive portrayal of a young man obsessed with revenge. Graphic language is used not to shock but to deepen the reader's understanding of the depth of horrors that some experience and the path(s) they follow as they react and/or in their own path forward. This book is thought-provoking and for mature adult / serious readers.